Ahana Ring is currently out of stock, however this piece can be specially hand made for you in 4-8 weeks after your online order has been completed. The Indian word ‘Ahana’ describes the ‘first rays of the sun’ every morning but also means ‘the light within oneself’. 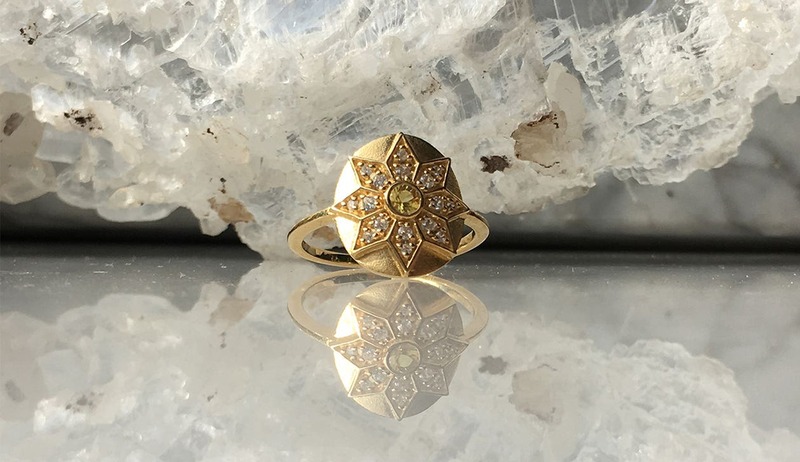 The matte coin holds an eight pointed sun set with White Zircon (16 stones) and Citrine at its heart, radiating warmth.